I know, I know… this event was yesterday! So, why I am I posting it again? Because you missed it! Of course, not everyone missed it.. but I am pretty sure that YOU were not there. And, I am here to tell you that you missed out on a lot of fun! We always have fun at my events. In fact, if you do not like to laugh, you might as well not even come! Anyway… what you missed out on was making the following cards. 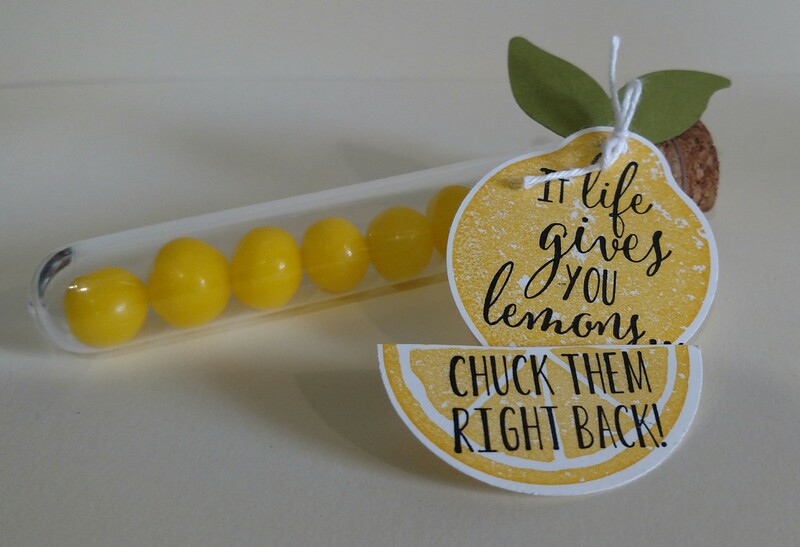 But, so that you don’t get too sad… I have included a little tip with each one to help you recreate on your own!! What a great lot of cards that were CASE’d from other people! Like I always say.. I CASE the best of them!!! So, let’s get up and personal with each one! 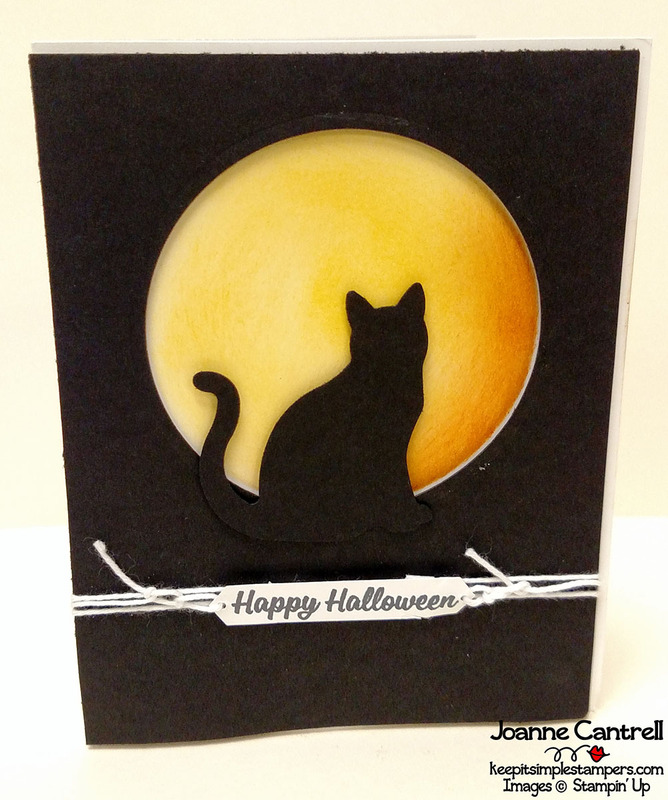 This card is your standard 5-1/4″ x 4-1/4 card base (in Pumpkin Pie)- with one exception… the card front is trimmed 1″. That’s what gives is the unique look. The Early Espresso panels are 5-1/4″ x 3″ and the Very Vanilla panels are 5″ x 2-3/4″. 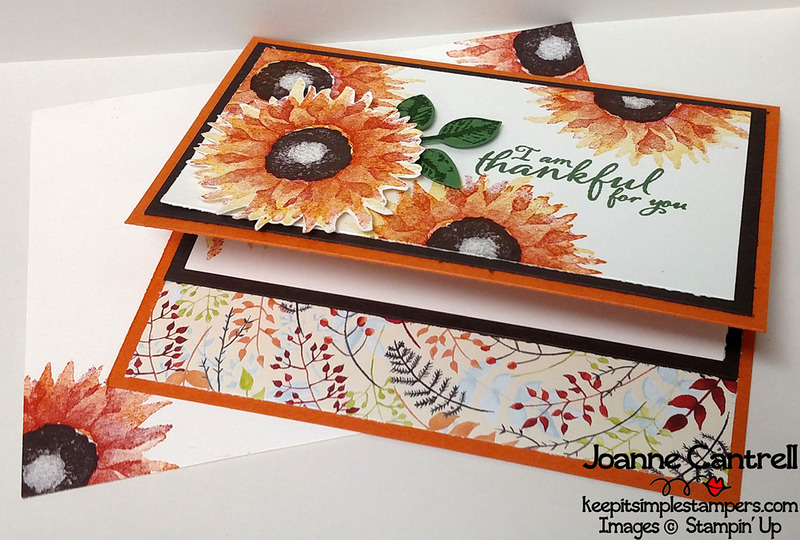 The Painted Autumn paper is 5-1/4″ x 1-1/5″ and was adhered first.so the brown layer will lay over it. The colors used on the flowers are Crushed Curry, Pumpkin Pie, Cajun Craze and Early Espresso…from the bottom up! I absolutely love this card and it may be my second favorite from the bunch. Or simple yet so elegant at the same time. So, it’s your basic 5-1/2″ x 4-1/4″ Early Espresso card base with a 5-1/4″ x 4″ Very Vanilla Layer. The three panels are each 1-5/8″ x 3-7/8″ and are in Crumb Cake, Soft Sky, and So Saffron. The inks used were Soft Suede and Crumb Cake. The circle is 1-3/8″ punched from Soft Sky and the tag is 1″ x 2-1/4″ Very Vanilla. I used the 3/8″ circle punch to nip the corners and sponged the edges (I used Crumb Cake, but it looks good with the Soft Suede too!). 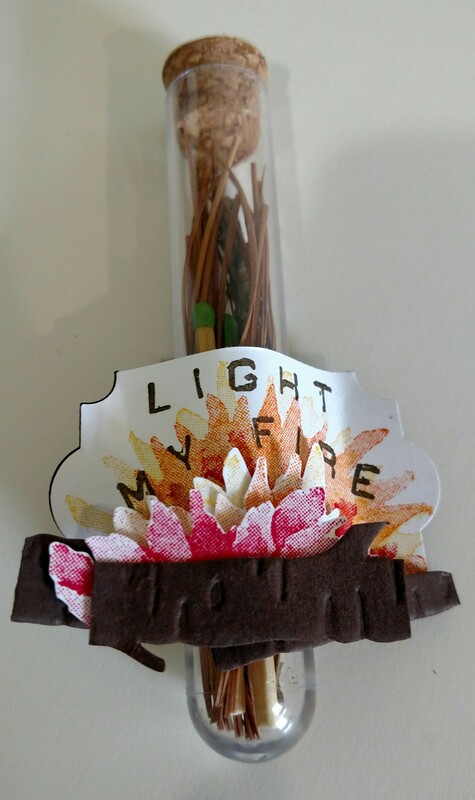 And, I cheated a bit because I didn’t have the Jute Twine that is in the 2017 Holiday Catalog, I used some other brand that was hiding out in my craft room. Now, this is one that gave me a bit of trouble. 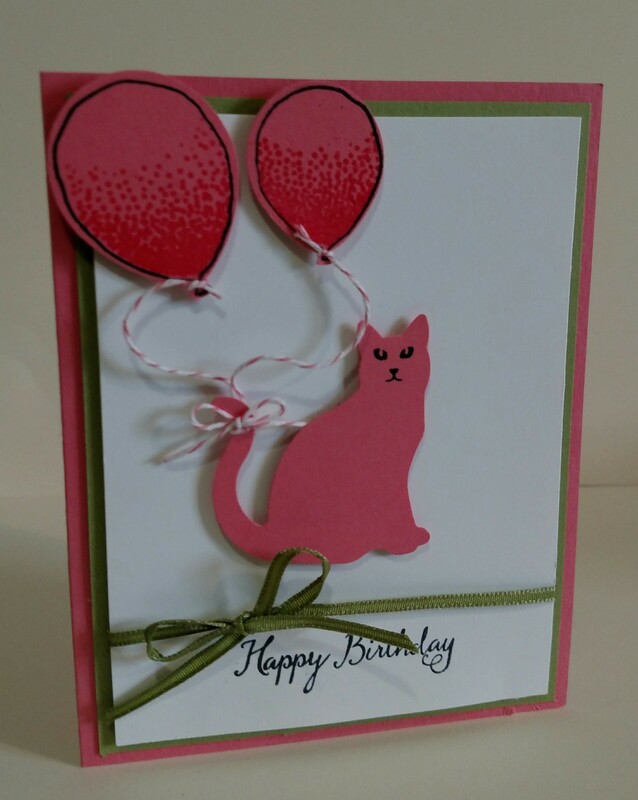 I absolutely love the card that Shannon made, but couldn’t quite figure out how she did it. But, I think I did pretty good. 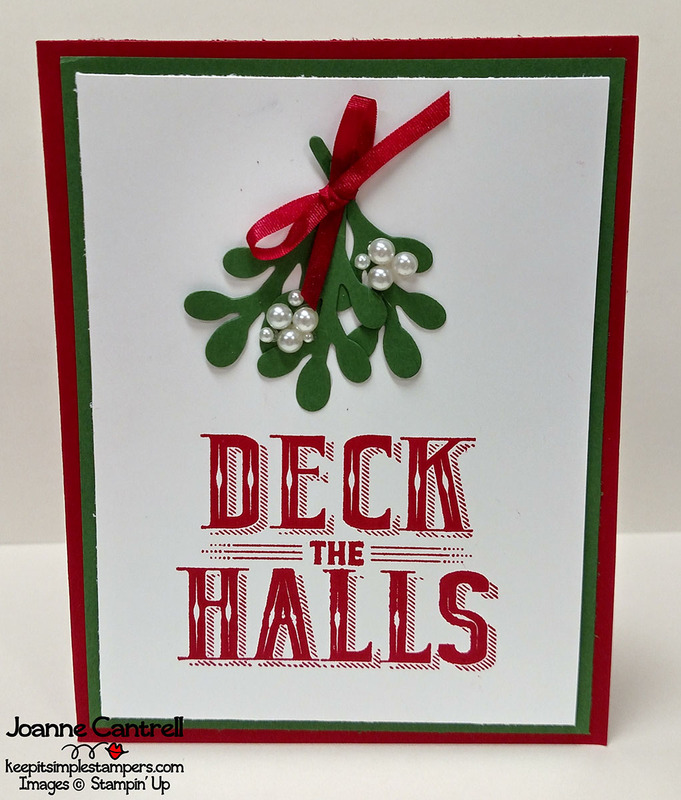 The 5-1/2″ x 4-1/4″ card base is Marina Mist with a 4-1/8″ x 5-3/8″ Whisper White layer. 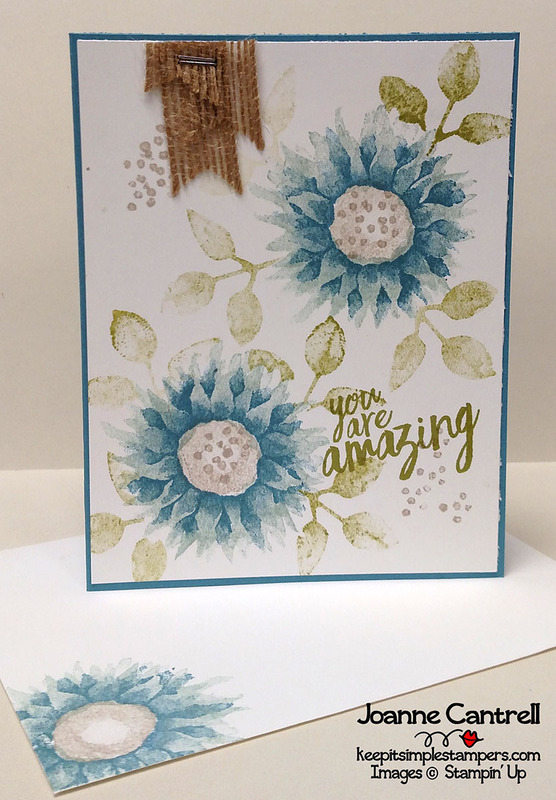 The flowers are made using Soft Sky and Marina Mist with Sahara Sand in the middle and for the dots. 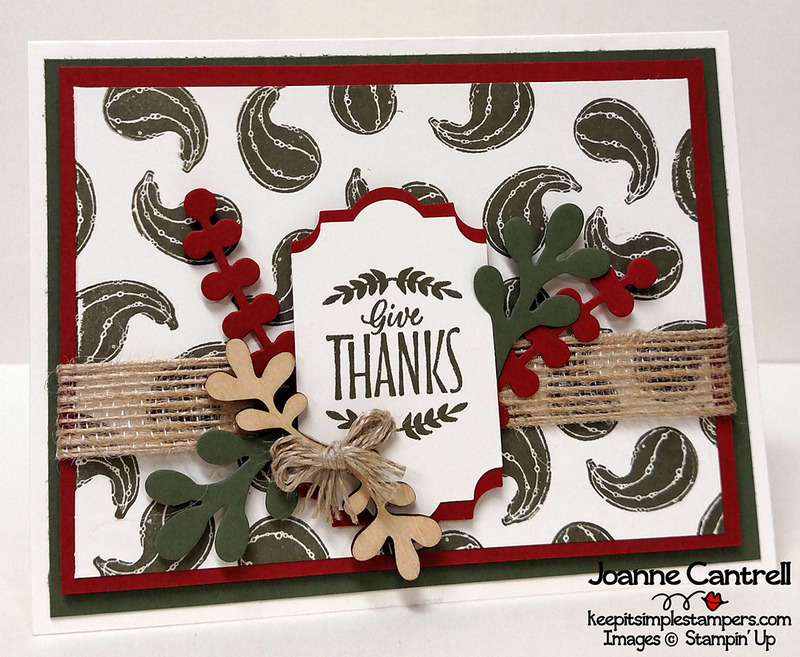 The leaves were stamped off using Pear Pizzazz. The sentiment is in full strength Pear Pizzazz. I used the retired Handheld Stapler to attach some burlap ribbon to the top. 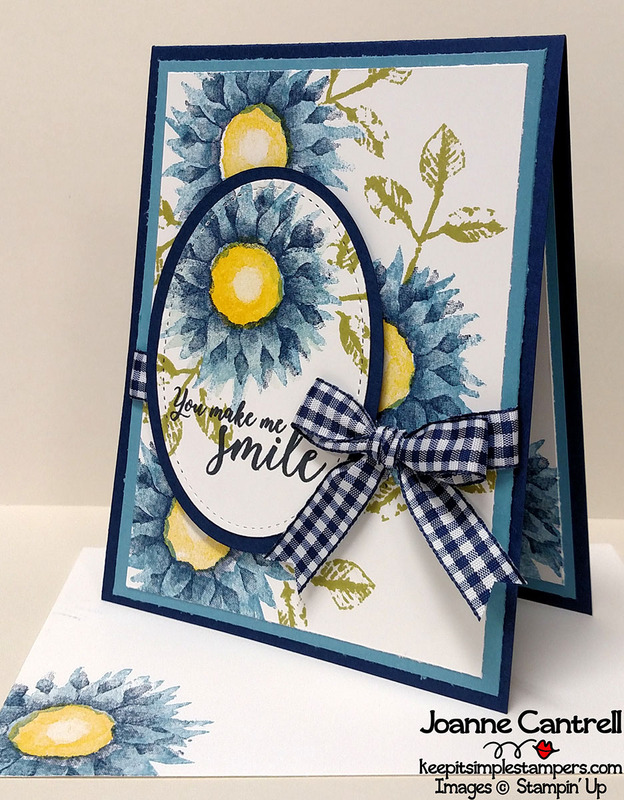 I love the doilies and just don’t use them enough. But, I am learning that they add a special touch that just says POW! This color scheme is So Saffron, Wild Wasabi, and Sahara Sand. The flowers are So Saffron, Crushed Curry, and Sahara Sand. The leaves were stamped in Wild Wasabi on Wild Wasabi then punched using the Leaf Punch. 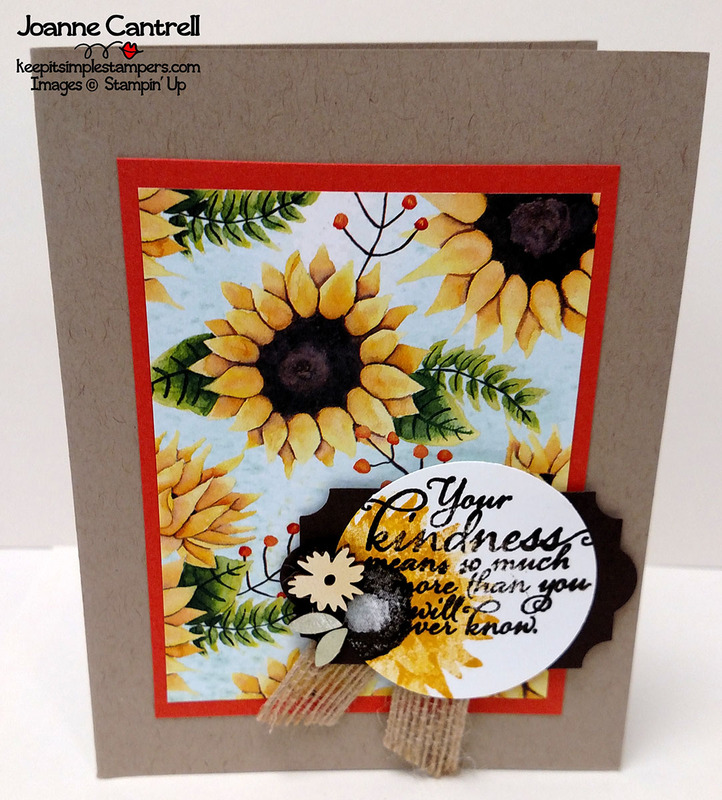 A little Crushed Curry Chevron ribbon nd there you have a great and simple card! And, in my haste to prepare for the class, I had lost the original center circle which was sponged around the edges using Sahara Sand – so you may want to give that a try! This was another card I had trouble CASE-ing exactly. I wasn’t sure what colors Karen had used because I wasn’t getting the same results. 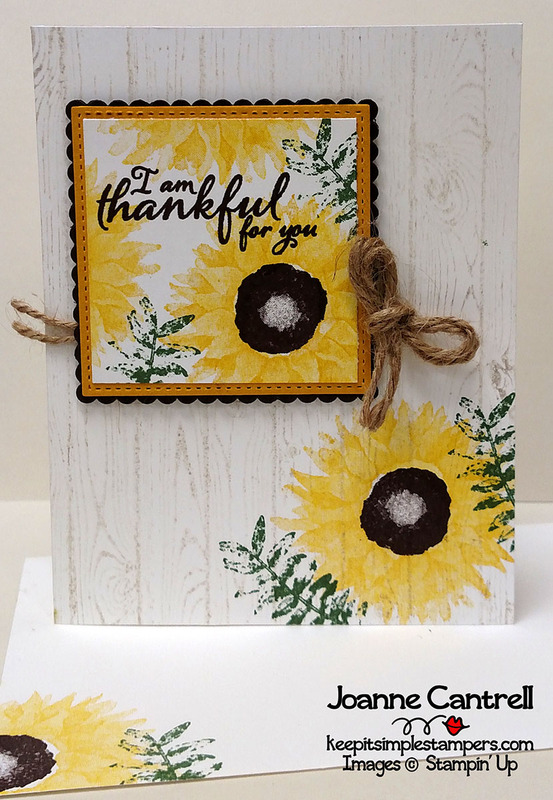 But, here is what I used… Just a plain Whisper White 5-1/2″ x 4-1/4″ card base. 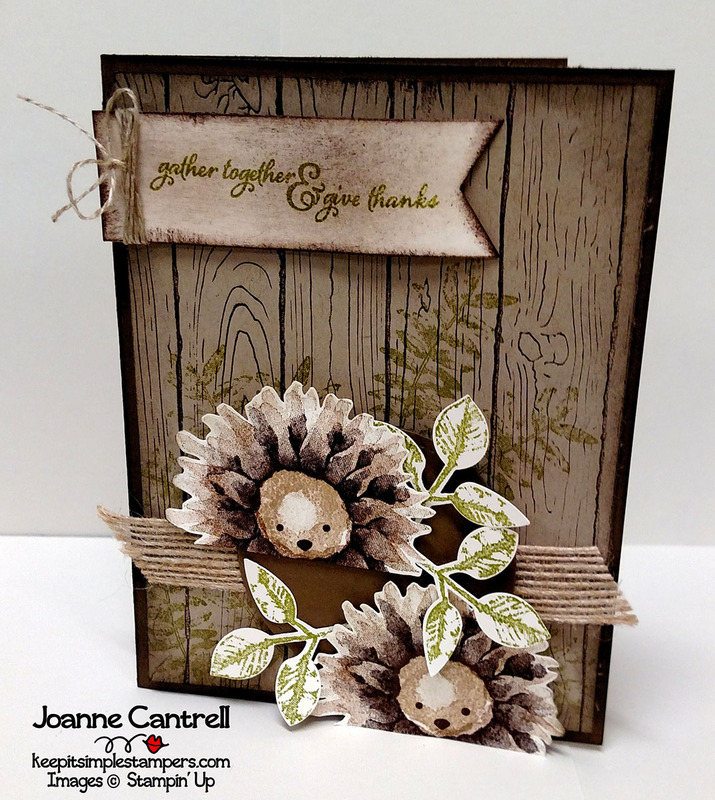 I stamped with using Sahara Sand (stamped off) on the Hardwood background stamp. The flowers were created using Daffodil Delight and Crushed Curry with an Early Espresso center. The leaves are Garden Green. 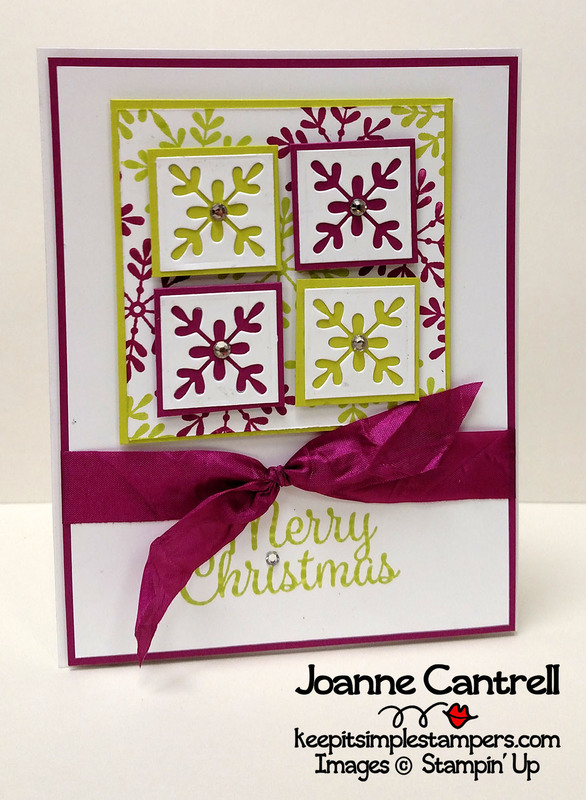 For the layering, I used the 2-3/4″ Scallop Square form the Layering Square Framelits – in Early Espresso. 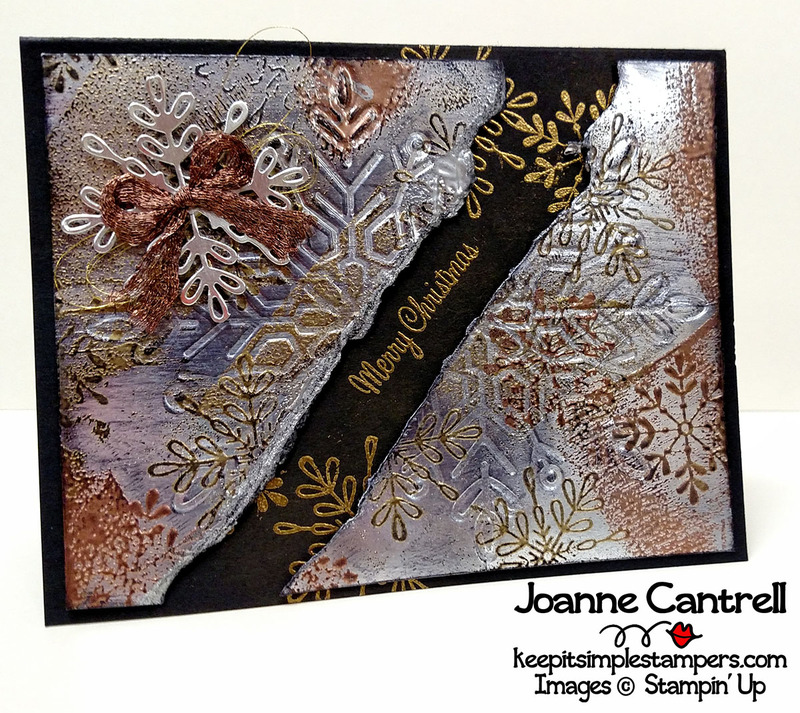 The Crushed Curry layer is using the 2-5/8″ Square from the Stitched Shapes Framelits. And, the top layer is 2-3/8″ square cut on my trimmer from Whisper White. 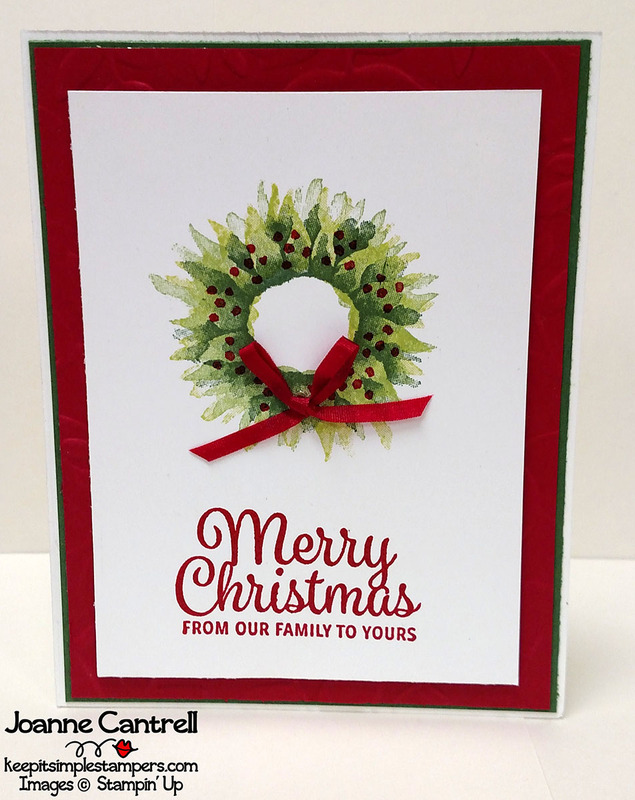 I also couldn’t figure out how Karen had tied the Twine because it didn’t seem to have a layer on the card front. Oh well, I simply tied a bow and SNAILed it the to the back of the layers! And, you guessed it.. this one is my favorite! Blue is my favorite color and Blue and Yellow is my favorite color combination. 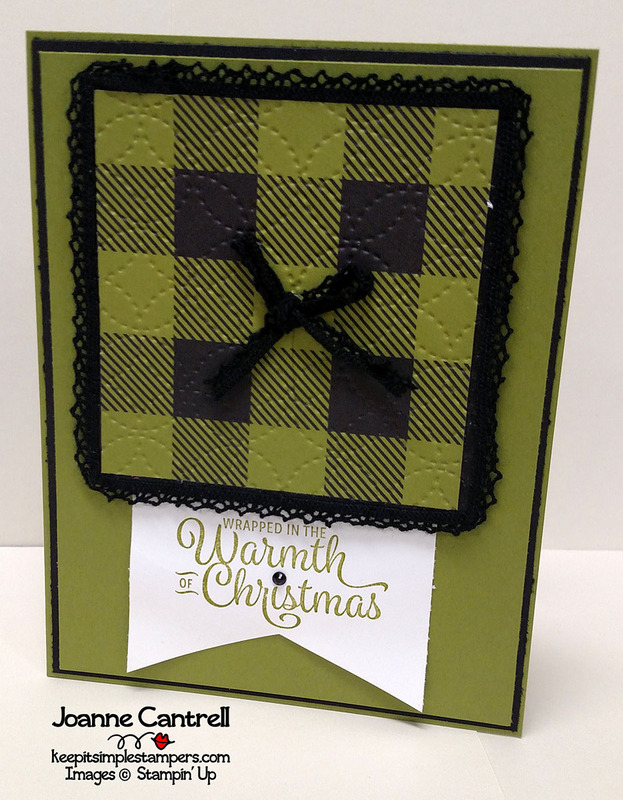 And, the Navy Gingham Ribbon… Who doesn’t love that! Here you have a Night of Navy 5-1/2″ x 4-1/4″ card base with a 5-1/4″ x 4″ Marine Mist Layer and a 5″ x 3-3/4″ Whisper White layer. The flowers are stamped in Marine Mist and Night of Navy with a Daffodil; Delight center. The leaves are in Pear Pizzazz. The other layers are largest ovals from the Layering Oval Framelits and the Stitched Shapes Framelits. The sentiment was stamped in Memento. So… aren’t you sad you didn’t get to come. 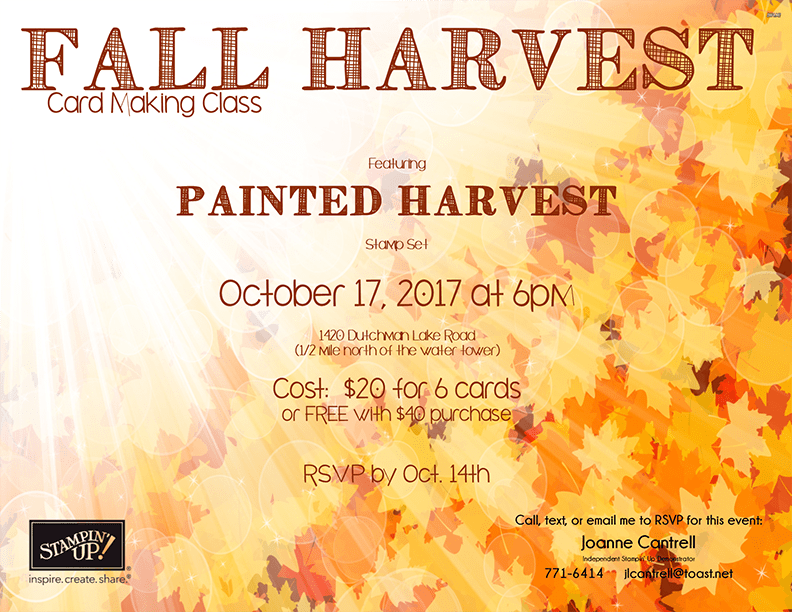 I will be hosting more classes like this soon. Feel free to stop by one! This is a lines from a parody of the 1980’s classic “One Night in Bangkok.” It was remade to tell the story of Christmas. And, there is so much truth to this line. Our Lord Jesus left the Glory of His Father to be born of a woman in a meek and lowly manger to save the people of the world from an eternity in hell. 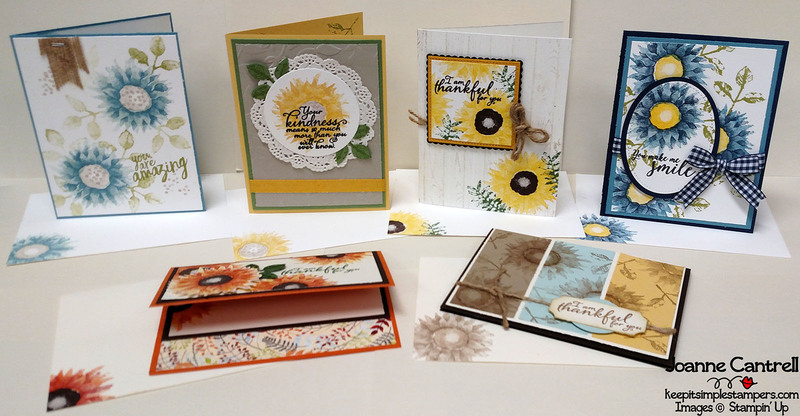 So, that being said, Stampin’ Up has provided the world with another gorgeous set celebrating that humble beginning! 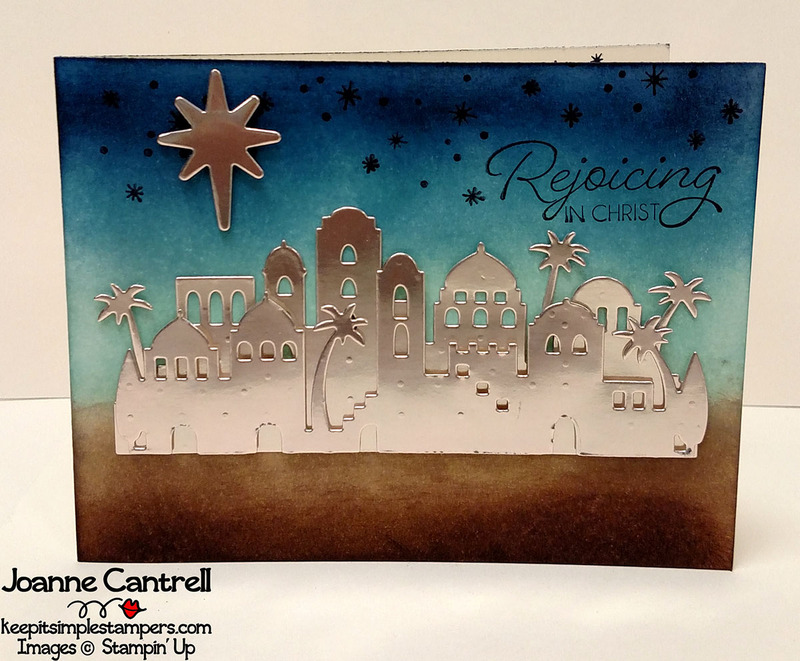 The Night of Bethlehem Bundle (146043/146044) features the Night in Bethlehem Stamp Set (144809/145282) and the Bethlehem Edgelit Dies (144676). 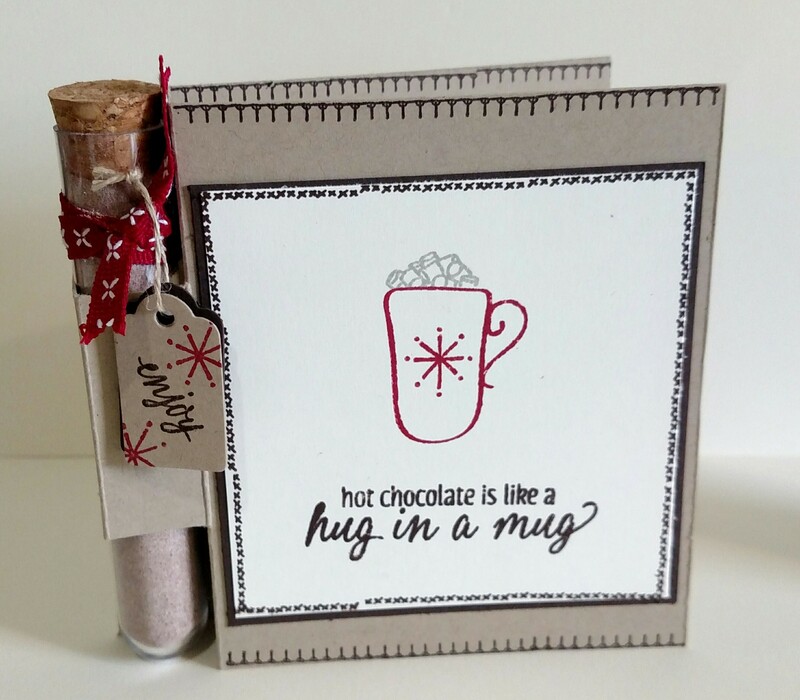 With this bundle, you can make some of the most beautiful Christmas cards that not only send greetings, but celebrate the arrival of a King! 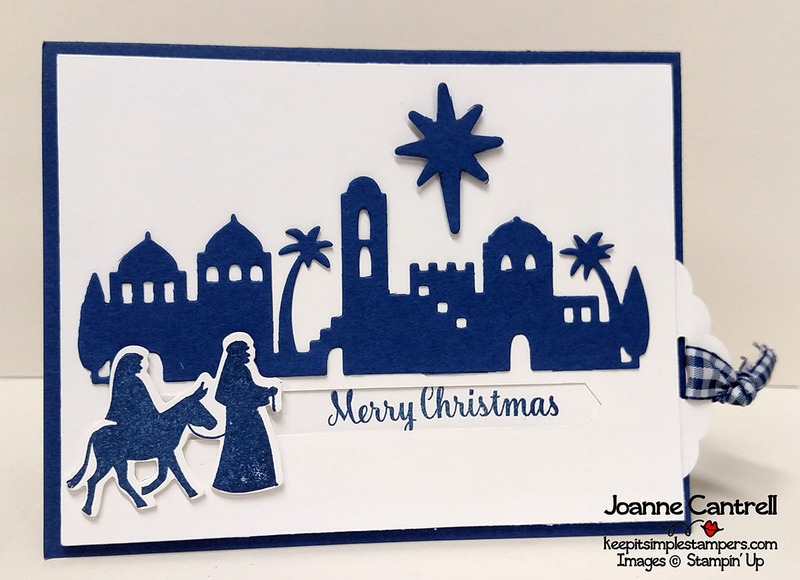 This clean and simple slider card allows Joseph to led Mary to the stable where Christ will be born. Layering the village pieces can provide shadowing for a great visual effect. Then, there is a little sponging. I sponged the background then added the village and the star cut from the new Champagne Foil Sheets (144748). That’s really all I have for you today. Short and to the point… much like me! 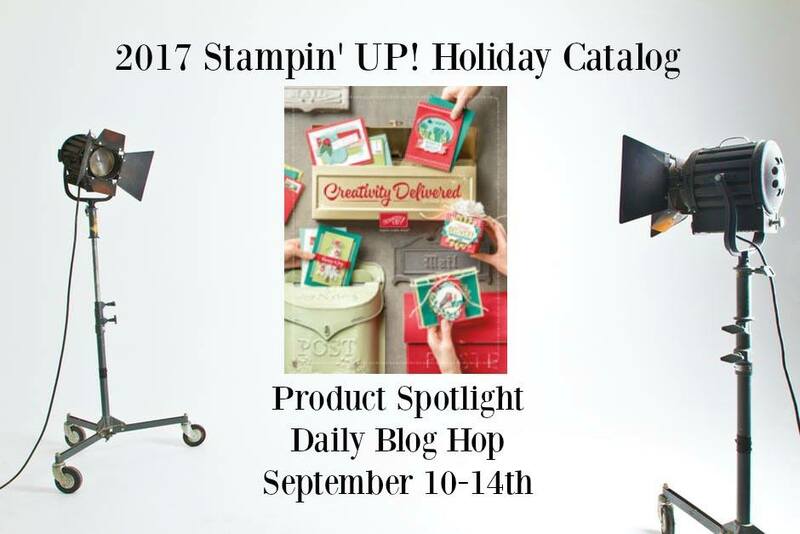 Hope you all enjoyed the 2017 Holiday Catalog Product Spotlights that I blogged about last week. That was great fun. All the gals came up with unique takes on each of the products. 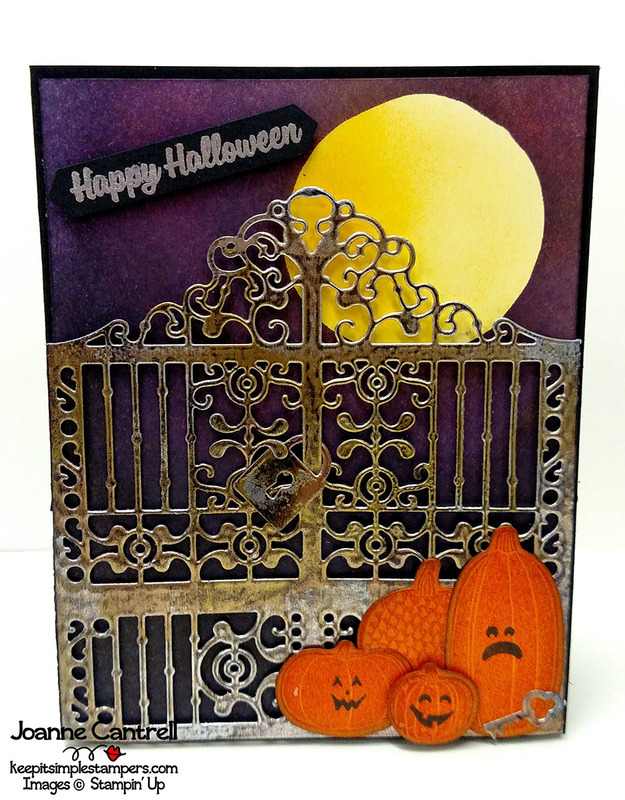 I bought the Detailed Gate just for that blog hop and now I absolutely love it! So, watch for a whole week of projects featuring that die! 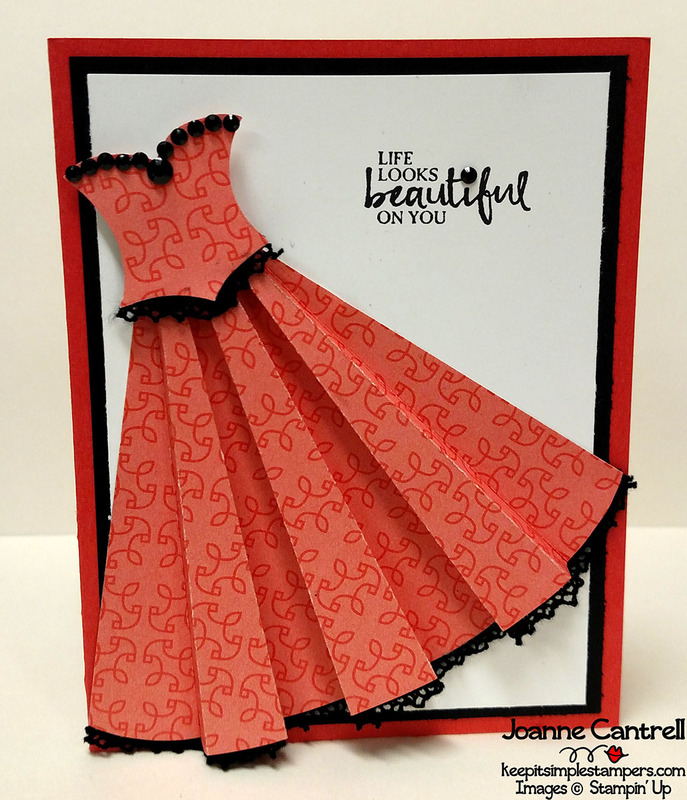 Today, I wanted to show you how a simple piece of Designer Series Paper is really all it takes to create an easy yet spectacular card! 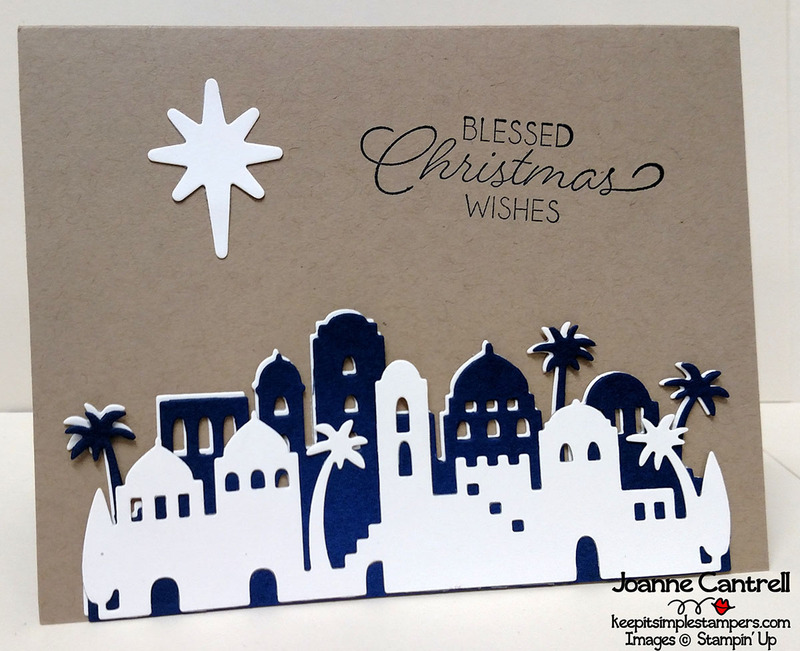 When I first glanced through the catalog, I fell in love with the Merry Little Christmas Designer Series Paper (DSP to those in the know!). These first two designs were inspired by the work of Lori Pinto. 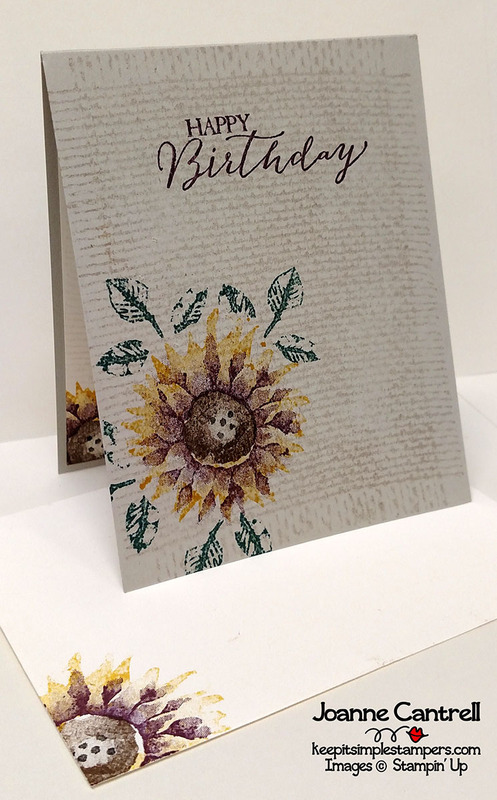 This card shows three different designs of the paper. I just love that plaid. I had to have this paper just because of that plaid! I created the layers based on the largest square stitched shape. I then added the sentiment and a little Black Rhinestone for some bling. This card is basically the same as the card above.. but so very different. This is a prime example of “same but different,” wouldn’t you say! You’re welcome! 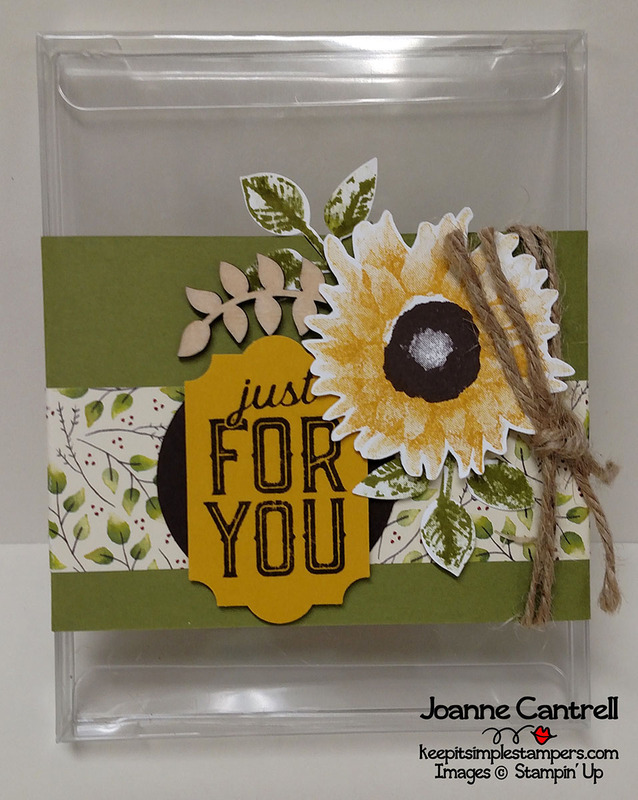 LOL Here is a glance at the items used to create this simple card! 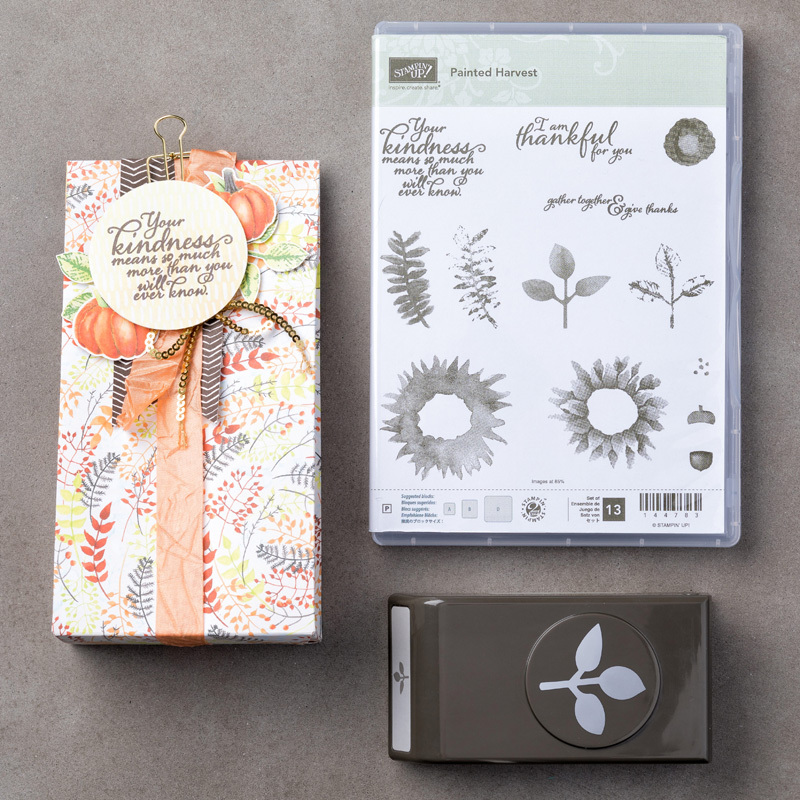 Welcome to the second installment of the Holiday Catalog Product Spotlight. Today, we will feature the Vintage Crochet Trim (144611). This trim can be found on page 53 in the Holiday Catalog which is all the way towards the back with the Halloween stuff. 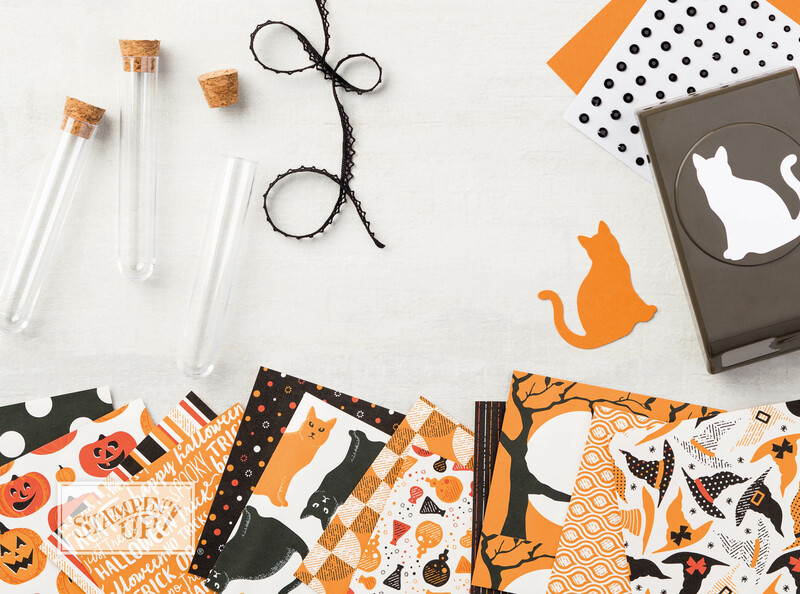 But, that doesn’t mean it’s just for Halloween! 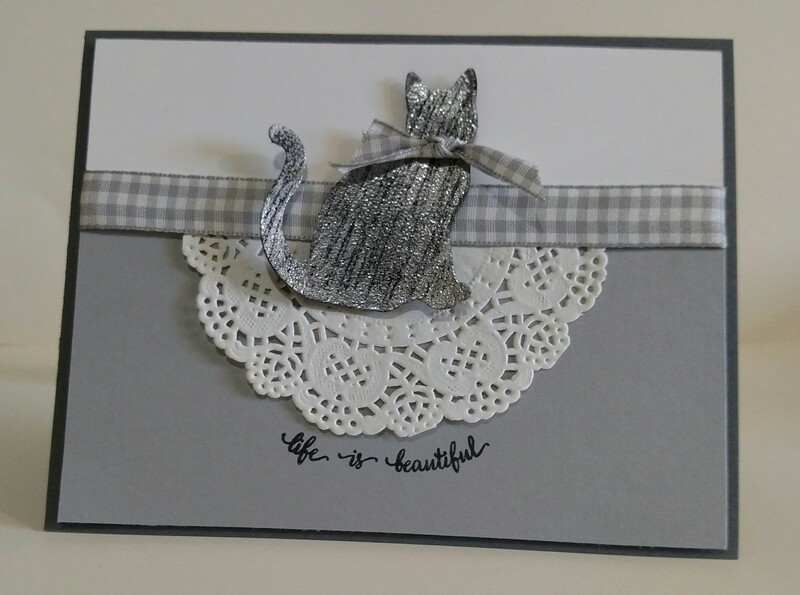 I ran a bit of snail around the edge of a square of Basic Black cardstock, then I adhered the trim around it. 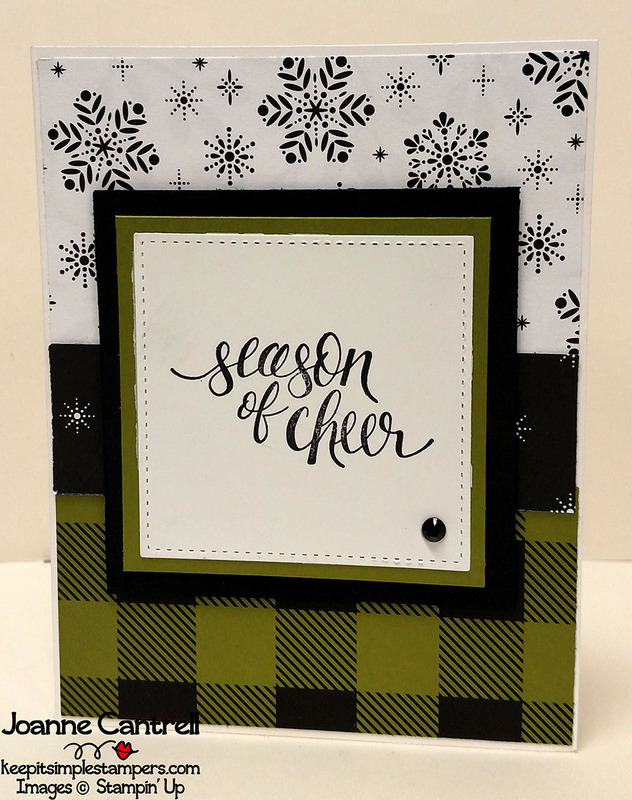 I added a square of the beautiful Merry Little Christmas Designer Series Paper (144621) and ran it through the Big Shot in the new Quilt Top Textured Impression Embossing Folder (144687). I added the perfect little sentiment from Snowflakes Sentiments (144817/144820). My next project also features a new Designer Series Paper. 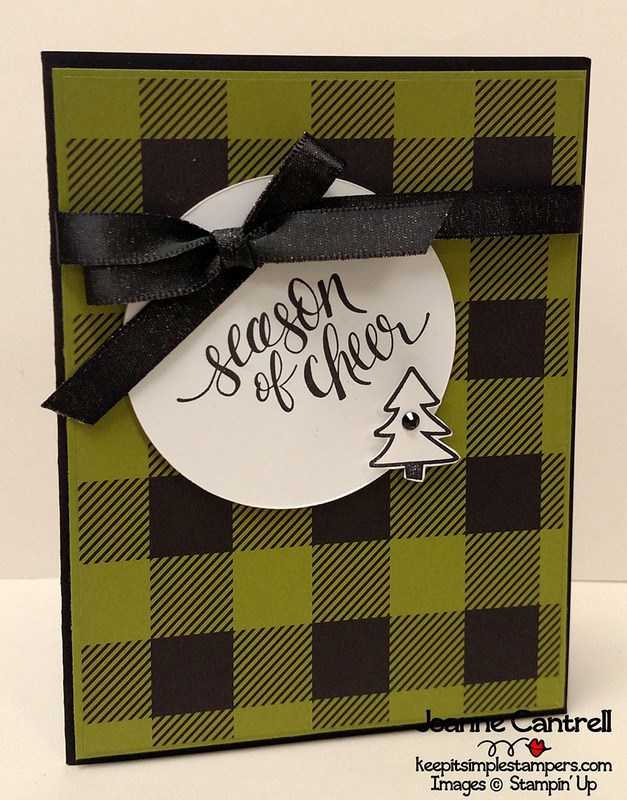 This one is called Merry Music Specialty Designer Series Paper (144623). 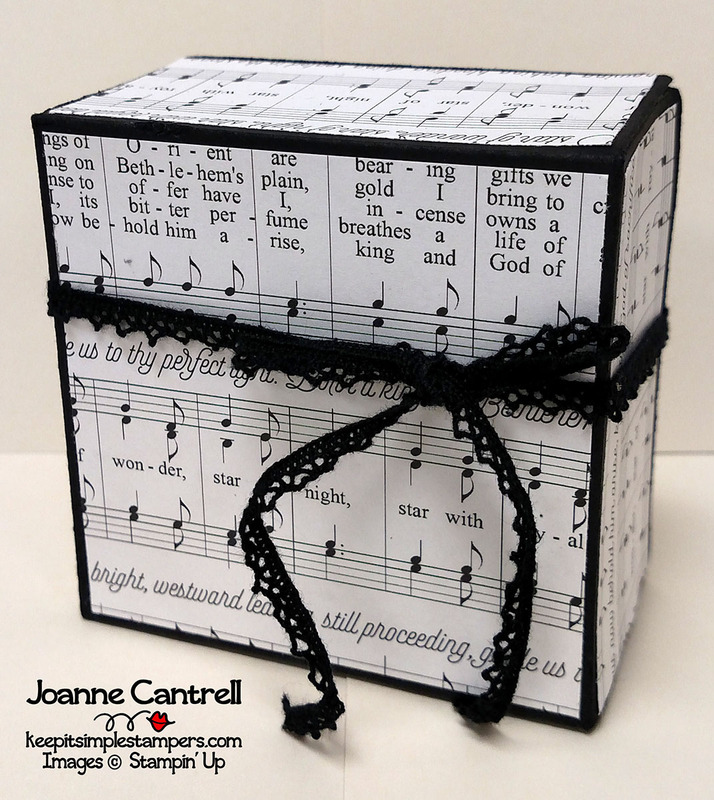 I just created a simple box and used the Crochet Trim to finish it off with a simple bow. I suppose a tag could be made for it, but this will be used as a simple box to hold a special treat for a friend! So… Crochet Trim…??? Where else is trim used? On clothing, of course! 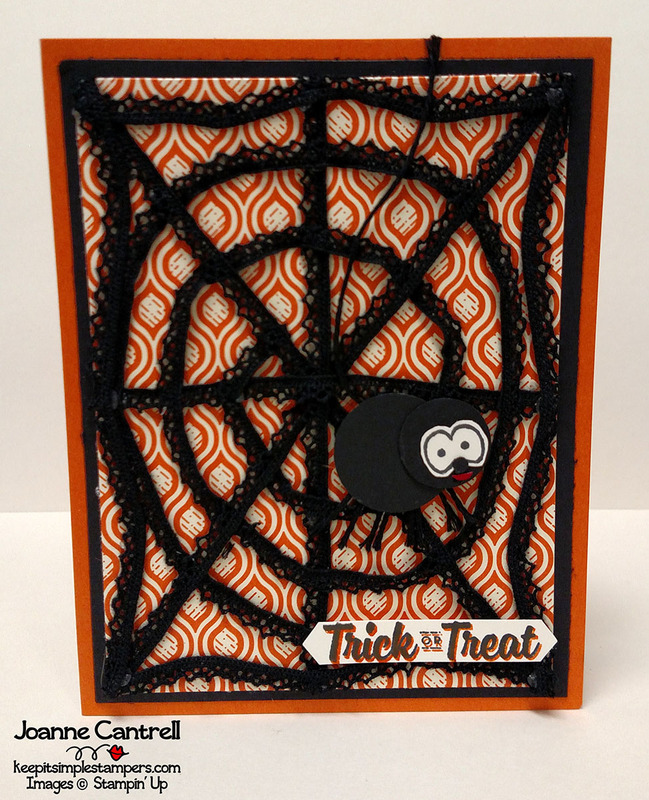 And… I would be remiss if I didn’t create at least one Halloween card with this trim, wouldn’t I.
I used it to create a spider web! 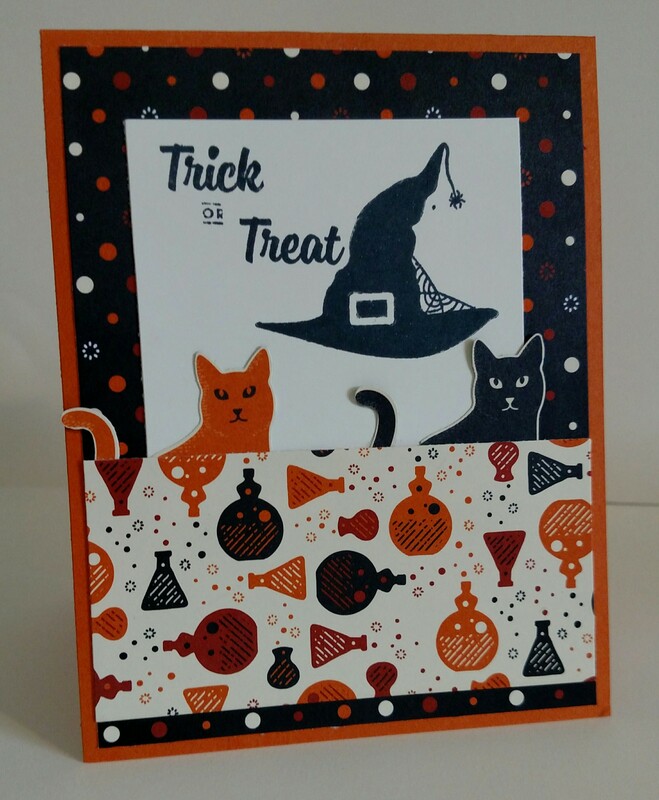 I double stamped the sentiment found in the Spooky Cat Stamp Set (144749). I used the eyes from that set for the spider and simply punched two circles for the body and added some black twine for the legs and web he is dangling from. Well, that’s all I’ve got for this one! How will you get creative with the trim? Have you ever made a card that you just didn’t love. Something was wrong with it, but you couldn’t pin-point it? 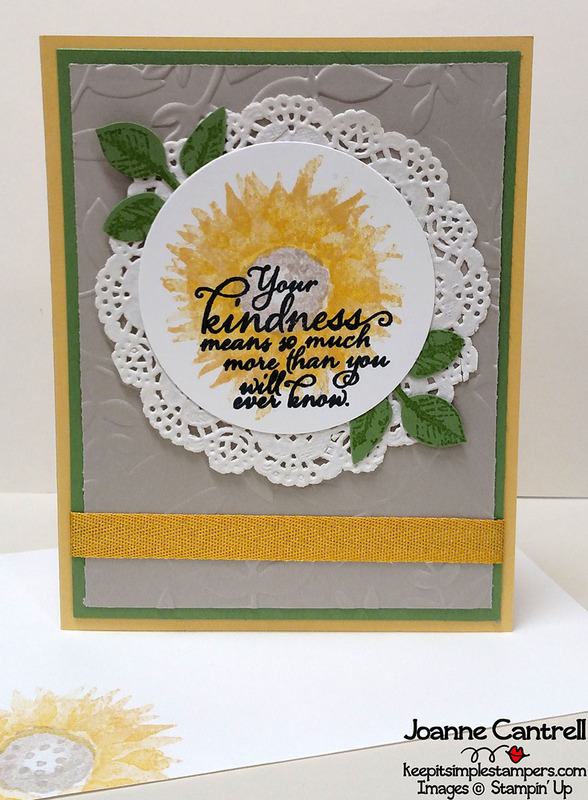 That’s exactly what I ran into while making my cards for the Stamper’s Dozen Blog Hop on Monday. I will admit… I actually screwed up something on one of the cards so I thought I would re-do it. Then I liked the screw up better. Still, I couldn’t let all that other work go to waste so I tried to create another card using it… but it just didn’t have the same feel about it. Now, of course… if you don’t know what I did wrong… you won’t know what this picture is really all about. It’s the foil… but I don’t mind this foil here… I just didn’t like it as much. But, I still feel like there is something missing or too much added or something. Maybe it’s the brightness of the copper in the back with is drawing my attention away? I don’t know. What say you? What is wrong with the cards… what would you have done differently? 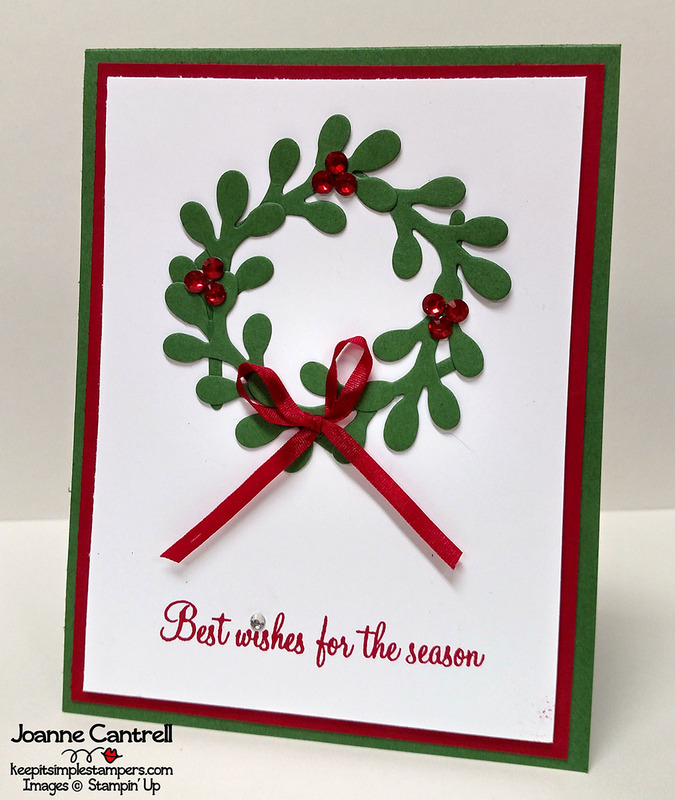 Oh – and that mistake I made… When I ran the foil through the Big Shot in the Embossing Folder, I forgot to do any distressing to it first. (FYI – this technique is called “tarnished metal”.) So, I set it aside and tried again. 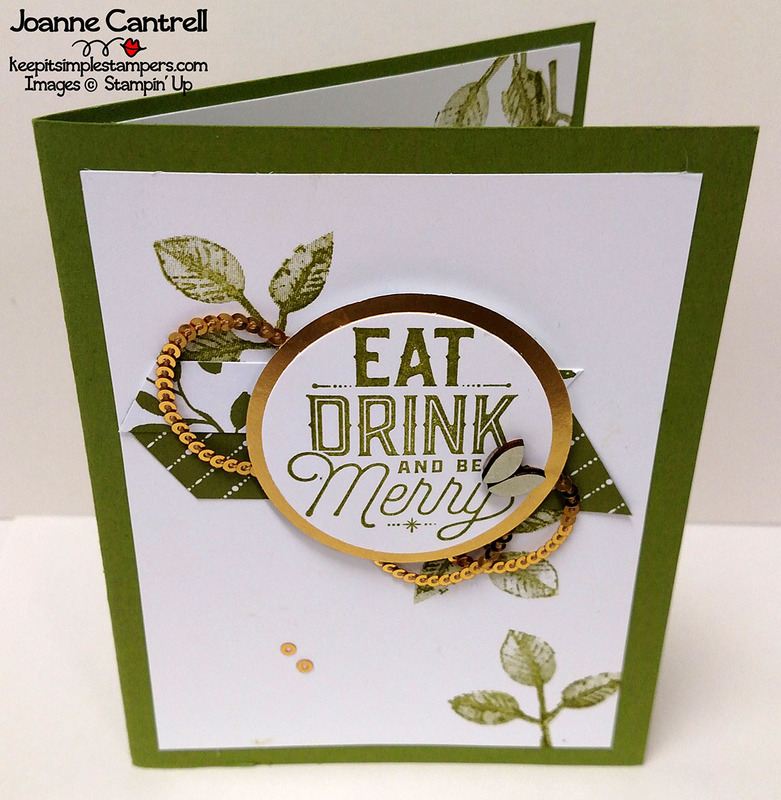 But then, I didn’t think the embossing was deep enough, so I ran the second one through again… but the wrong way! I DEbossed instead of EMbossed. Ugh! But, I kept working with it and didn’t seem like it would work. 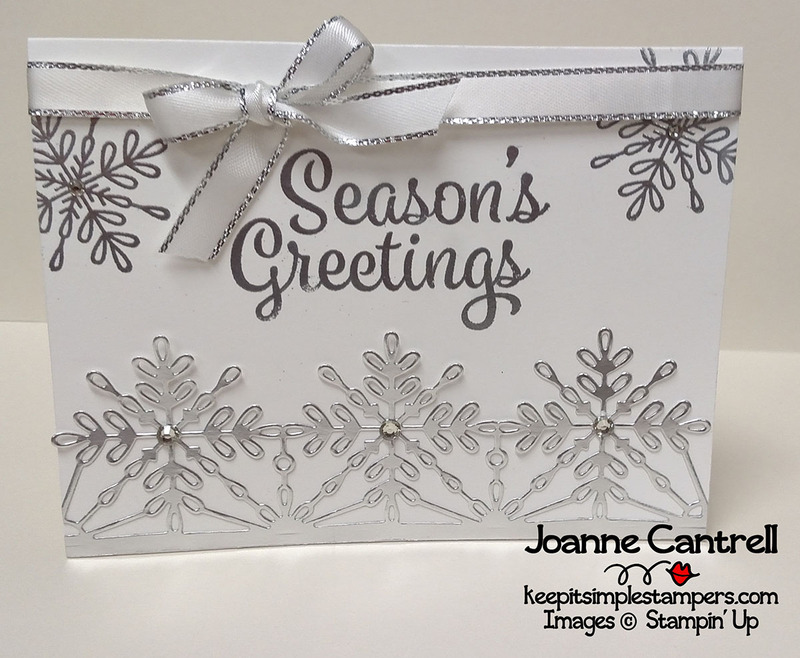 I went back to the other silver foil snowflake to see if I could reclaim it. It didn’t turn out bad. I just liked the other one better. Couldn’t let it just go to waste so I tried to create a card with it… but my brain wasn’t functioning and I got the card above! Now… it’s not a terrible card. At least, I don’t think it is. But, it’s just not hitting that “great” card spot in my soul. Does a card have to hit you like that for you to consider it worthy? What do you do with it if it doesn’t? This one will probably be my nephew’s Christmas card this year! You better not tell him this was a cast-off! 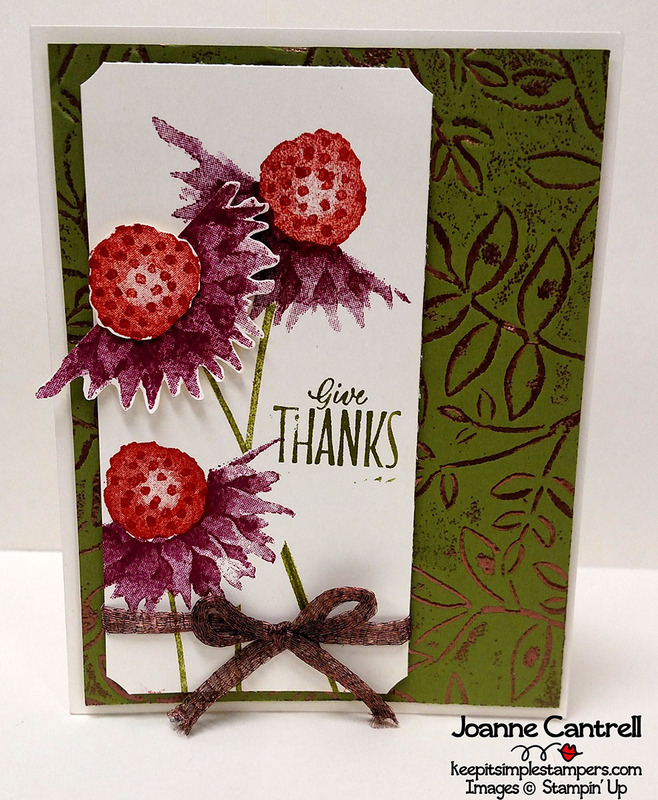 Well… Until next time… keep it simple, Stampers!